Acupuncture has seen rising popularity in the western world as a health care alternative and solution to common ailments. At Caron Chiropractic Clinic, PA, we believe in the healing powers of acupuncture as a way to help achieve your optimal health. 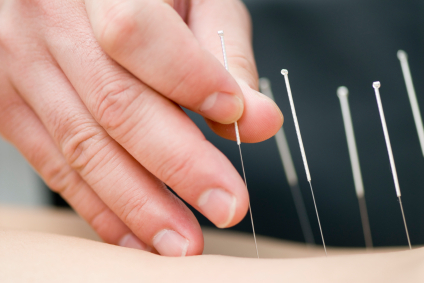 Our licensed acupuncturists have extensive training and a deep respect for this form of Oriental medicine. Acupuncture involves the insertion of very thin needles through the skin at specific points in the body. These points are thought to have certain electrical properties thereby altering the body in a way that allows it to heal itself. Your St. Paul Acupuncturist will assess and diagnose your problem using the Oriental medical theory and develop a plan to treat you. With over 3,000 hours of rigorous training and the completion of the acupuncture medical board exams, our licensed acupuncturists are prepared to offer you relief from your ailments. Women’s health issues such as fertility, menstrual irregularities, various aspects of pregnancy, and endometriosis. Auto-immune disorders such as chronic fatigue, lupus, and rheumatoid arthritis. Gastrointestinal disorders such as diarrhea, acid reflux, gas, and bloating. Neurological disorders such as headaches and multiple sclerosis. Physical and emotional issues such as addictions, insomnia, anxiety, and depression. Respiratory issues such as asthma, allergies, and sinus conditions. At St. Paul Acupuncture Treatment our practitioners consider the whole body. In our consultation with you, we will discuss ways in which natural healing can help you restore your body’s balance. We will discuss the imbalances that may have led to your problems. We will also review your personal and medical history so we have a broader sense of your issues. Perhaps you are lacking some key nutrients in your diet. We can help you identify nutrient dense foods or consider some whole food supplements to improve your health. If you live in the St. Paul area and you are ready to give the age old practice of acupuncture a chance, contact the licensed acupuncturists at Caron Chiropractic Clinic, PA. We would be happy to help you schedule your appointment today! One of our staff members will gladly take your call at (651) 255-9999! This entry was posted	on Friday, November 6th, 2015 at 9:06 pm	and is filed under Acupuncture. You can follow any responses to this entry through the RSS 2.0 feed. You can leave a response, or trackback from your own site.